Home » Health & Wellness » Healthy Lifestyle » Rethinking Drinking: What’s the Healthy Choice? I am often asked questions about alcohol use, such as how much is safe and are there any health benefits. I tell my patients that drinking in moderation is fine. Alcohol is a part of our social fabric and there is nothing inherently bad about it. I tell my patients they don’t have to give up their glass of wine with dinner or a beer or two at a party, as long as they aren’t driving home. But I remind them that there are well-known downsides to excessive alcohol use and I urge caution for anyone who chooses to drink. Clearly, the key is moderation. According to the Mayo Clinic, that is one drink a day for women of all ages and men older than age 65, and up to two drinks a day for men age 65 and younger. Heavy drinking is defined as more than three drinks on any day or more than seven drinks a week for women and for men older than age 65, and more than four drinks on any day or more than 14 drinks a week for men age 65 and younger. Binge drinking is four or more drinks within two hours for women and five or more drinks within two hours for men. The key again is moderation. Many people find it difficult to stay under one or two drinks a day. 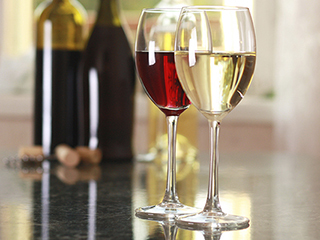 A glass of wine or a beer each evening followed by heavier drinking on weekend nights is too much. It’s the average consumption per day that matters. If you know you will be drinking on the weekends it’s best to avoid those weeknight drinks. And everyone should be aware of the signs of problem drinking and seek help if they find themselves unable to control their alcohol use. Talk to your family doctor if you are concerned about your drinking. We can help you figure out if it’s a problem and get you the help you need if it is. Dr. James Chamberlain is a Maryland Primary Care Physicians, LLC partner and is certified by the American Board of Family Medicine. He received his medical degree from University of Maryland School of Medicine in 1985 and completed his residency program in Family Practice at The Medical University of South Carolina in 1988. 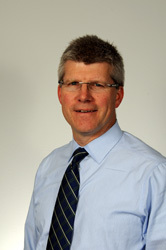 Dr. Chamberlain sees patients in the Queenstown office.